Cloud computing from its inception has played an exceptional role in revolutionizing most industries across the globe. It has helped many businesses to prosper through both public and private cloud computing models. To suit the ever-changing business requirements, organizations need flexible computing solutions that can provide benefits of both public and private cloud computing models. Hybrid cloud computing is one such solution that is rapidly gaining foothold in most businesses. To learn more about hybrid cloud computing and its benefits, read on! 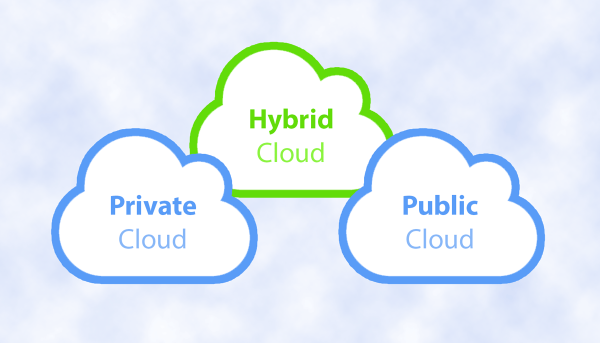 Hybrid cloud computing is a blend of two or more cloud computing deployment models such as public and private. Hybrid deployment model is not just the combination of public and private cloud deployment models, it could also be the combination of a cloud and traditional IT models. As per the business requirements, organizations can opt for any hybrid plan. Hybrid cloud computing solutions are beneficial for both small and large businesses. To learn the ways it can benefit your business as discussed. Creating an in-house infrastructure consumes a lot of time and resources. Although it provides control and security, but its advantages do not outweigh the long run expenditures that organizations bear. Hybrid cloud computing helps organizations save a great deal of money, which otherwise would have been spent on building an infrastructure, hiring IT personnel, and other similar things. These savings can be further invested in pushing your business forward. The hybrid network does not impact the existing operations and also allows existing technologies and tools to be reused. Last but not the least, using public cloud for data that does not require much security also helps in reducing overall expenditures. In comparison with the complete public or private cloud networks, hybrid networks are more secure as it allows organizations to keep critical information on dedicated servers and the usual data on public cloud. Having important information in private network gives organizations complete control over the data. When required, organizations can increase or improve their network security. Cloud networks allows organizations to configure or optimize the network as per their business requirements. It allows organizations to move heavy processes or traffic to a separate public or private off-premise cloud network, which as a result improves the local network performance. This advantage of flexible network optimization also helps in gaining better bandwidth scalability and improved latency, which as a result significantly improves data transfer rate. Hybrid cloud is the preferred choice of most organizations. It helps organizations to overcome the limitations of private and public networks. Choosing hybrid cloud service alone does not ensure all benefits. To get the most out of hybrid cloud, organizations must choose hybrid cloud network that suits their business requirements. Besides this, they must take services from an experienced and reliable cloud service provider like i2k2 Networks, dedicated web hosting provider company in India.